We’ll set the stage for you. Literally. 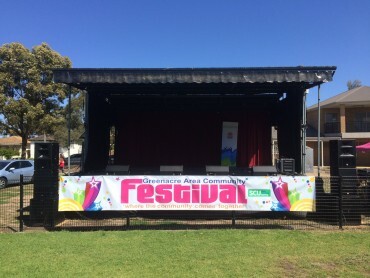 Through our mobile staging solutions, we can provide your event with a veritable instant stage that can be adapted to suit your particular needs. Reliable, safe and designed for quick deployment, our mobile stages are the ideal choice for event organizers who want fast and fuss-free staging. Let us help you make your event the success that you want it to be – get in touch with us at 1300 761 799 today and we’ll bring your vision to life with our mobile staging rentals and other services. 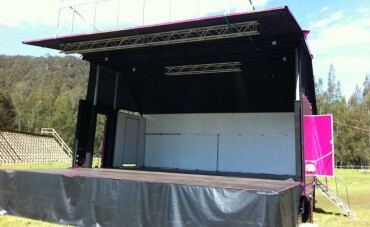 Currently our biggest stage, the Goliath measures 9m x 9m and has an adjustable stage height of 1-1.5m. The unit’s total height is 4.3m with a total vehicle length of 19m when in-transit. Setup it has a 4m height of stage floor to roof. Nelson measures 9m x 7m and has an adjustable stage height of 1-1.5m. The unit’s total height is 4.3m with a total vehicle length of 19m when in-transit. 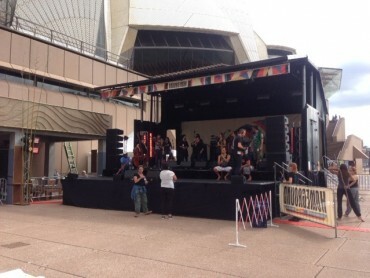 Setup it has a 4m height of stage floor to roof. Bison measures 9m x 7m and has an adjustable stage height of 1-1.5m. The unit’s total height is 4.3m with a total vehicle length of 19m when in-transit. Setup it has a 4m height of stage floor to roof. Jumbo measures 9m x 7m and has an adjustable stage height of 1-1.5m. The unit’s total height is 4.3m with a total vehicle length of 19m when in-transit. Setup it has a 4m height of stage floor to roof. 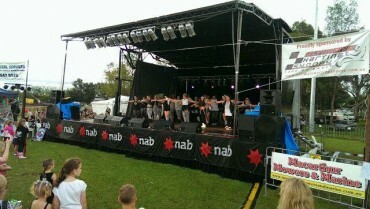 Hydro measures 7m x 7m and has an adjustable stage height of 1-1.5m. The unit’s total height is 4.3m with a total vehicle length of 17m when in-transit. Setup it has a 4m height of stage floor to roof. 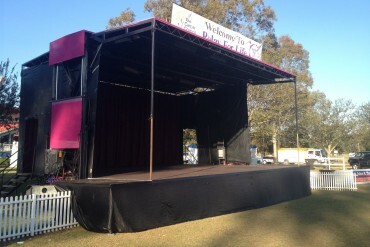 Panda measures 7m x 6m and has an adjustable stage height of 1-1.5m. The unit’s total height is 4.3m with a total vehicle length of 17m when in-transit. Setup it has a 4m height of stage floor to roof. 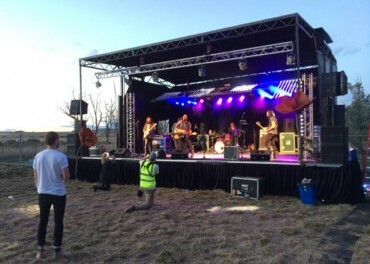 Festival Hire provided a large marquee for the Canberra International Music Festival for the first time in 2013. We and our patrons were delighted with the outcome: a beautiful marquee that created a real “festival” atmosphere. Mark went out of his way to make sure our specific requirements were met, and we were happy with the outcome. The service was very professional and Mark added plenty of value in recommending what would best meet our needs. We look forward to working with you again in 2014.